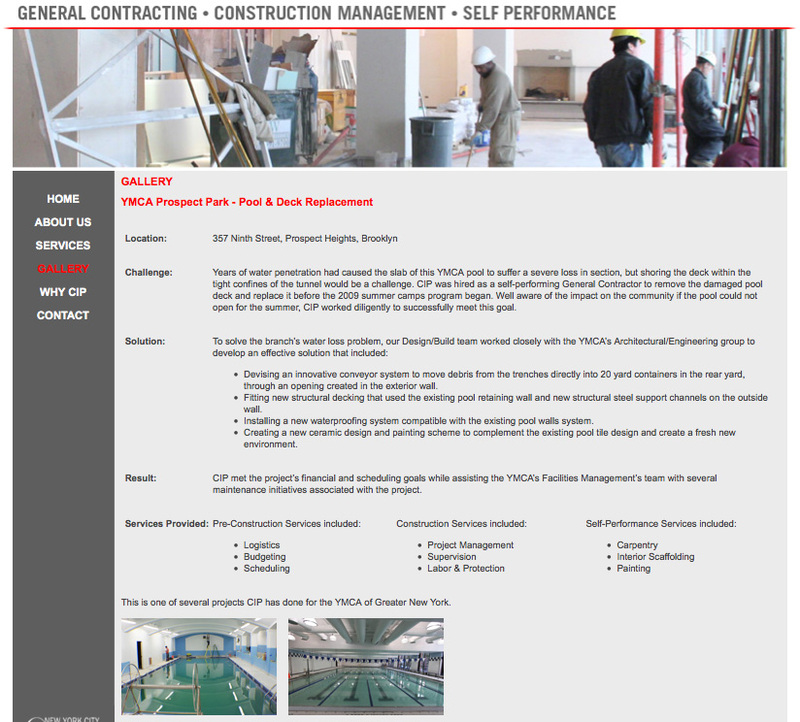 This general contractor wanted to enhance the quality and professionalism of their website and marketing materials to compete more effectively for larger projects. We conducted an in-depth analysis of their primary competitors’ websites and developed key messages that were more client-focused. We also rewrote the projects Gallery to better highlight the quality and scope of CIP’s services, using an easy-to-read Challenges / Solutions / Result format. Want to see more competitive analysis examples?